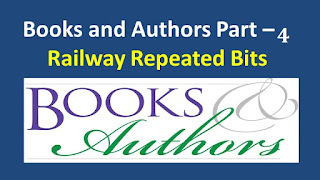 Railway Important Repeated Bits about Books and Authors: Hi Viewers welcome to our web portal ssc-ibps.com, in this post we are given the previous year railway examination asked topics in books and author topics. These bits are very useful for your preparation in every competitive exam from this topic maximum one or two questions are coming this topic. This time getting the railway post is not a simple task more than 2 cores of application are received by all Indian Railway Recruitment Boards. 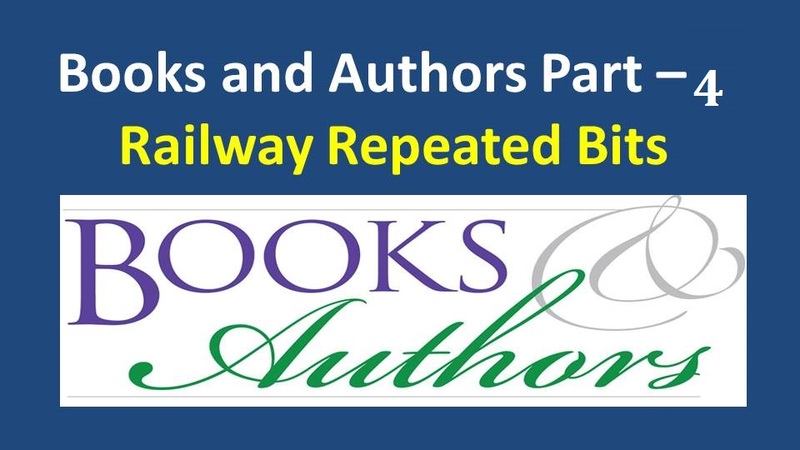 This is the Part 3 of books and authors below we are enclosed remaining two parts of the important bits of books and authors. 1. Who wrote the novel tamas? 2. Who has authored the book lilted Narendra Modi: A political biography? 3. Who is the author of a suitable boy? 4. Freedom from fear is a book written by? 5. Who is the author of the book nineteen eighty four? 6. Which of the books mentioned below was not written by munshi premchand? 7. The author of book the guide is? 8. What is the name of kalhana’s book? 9. Who has written Panchatantra? 10. Who is the author of the book the rights of man?